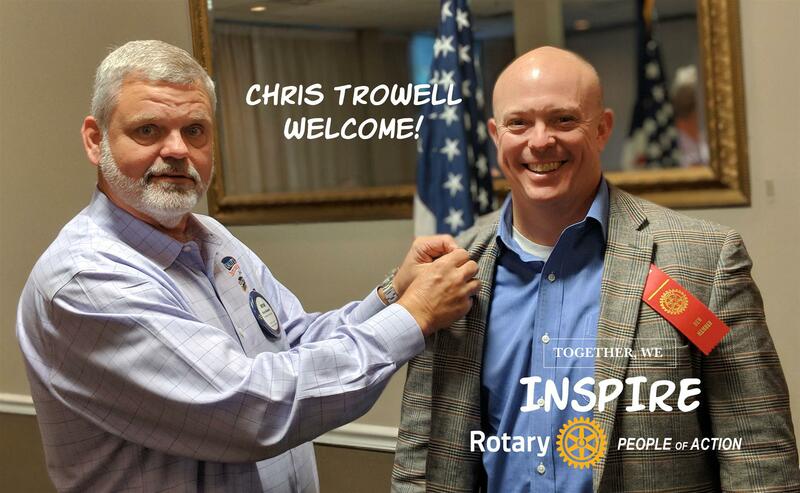 This past week we had the distinct pleasure of welcoming a new member, Chris Trowell, a senior project manager and vice president at BBI Construction Management, Inc. Chris is a graduate of Santa Fe High School and the Rinker School of Construction Management at the University of Florida. He loves coaching all sports and spending time mentoring young adults. Chris enjoys fishing and hunting. He and his wife have five children, ages 11 to 20. Welcoming Chris into our club is his sponsor, Bryan Nazworth (left). Welcome, Chris!